It wasn’t always pretty in Burlington, Ky., as constant storms delayed the first round of the Idlewild Open and more rain fell on day two. But better weather came around for the final round and Chris Dickerson and Paul Ulibarri made the most of it. Dickerson fired off an 8-under par 59—tied for the second-best score of the day—to leap 12 places up the leaderboard into eighth place. There, he landed in a three-way tie that included Dan Hastings, who averaged well above his rating for the weekend for his first top-10 DGPT finish. Paul Ulibarri tossed a 4-under par 63 to jump five spots into a tied for 11th place. Ulibarri finished at a 9-under par 192, which was just one stroke off Dickerson and Hastings. Catrina Allen’s 42-over par 240 put her in 8th place in Open Women. 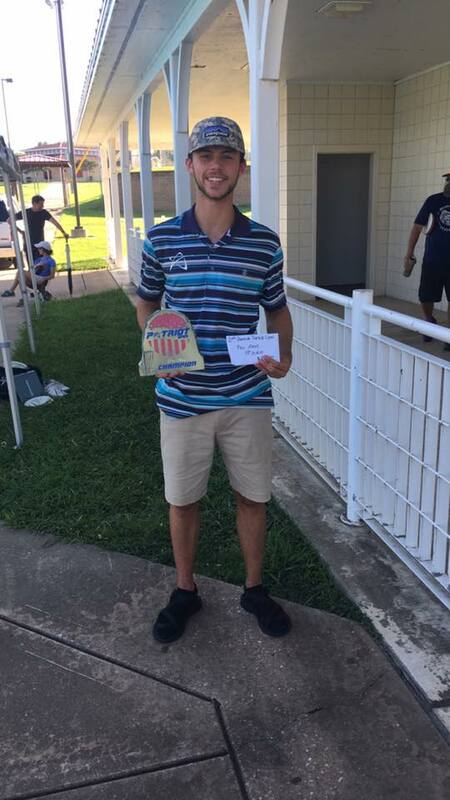 A little further south, Cameron Colglazier got his third straight PDGA win in a row at the Mid Summer Meltdown No. 3. Colglazier scorched Foley, Ala., taking the low score in both rounds on the way to a 15-under par 111, which was good for a 10 stroke win. Matt Orum followed with his 5-under par 121. Cameron Messerschmidt successfully defended his title at The Labyrinth at Punderson State Park in Newbury, Ohio. Messerschmidt was in his second week back in competition after an injury and shot a 7-under par 184 for his first win of the year. Jeremy Farnsworth took down Noelridge! in Cedar Rapids, Iowa, by four. He shot the hot score in both rounds, wrapping up a 17-under par 101 finish. Gannon Buhr won Advanced coming off of his strong play at the PDGA Junior Disc Golf World Championships last week. Buhr sealed the deal in round two with a 1030 rated effort to cap a 15-under par 103 total. Cameron Sheehan snagged a win in Union Gap, Wash., at the YakTown Throwdown 6. Sheehan got better as the three-round event went on, and threw his best score in the final round. He finished at a 23-under par 139 to win handily by six throws. Jacob Henson’s hot summer tour continued at the 2nd Annual Patriot Open in Hornlake, Miss., as he got his fifth win in the last three months. Tray Desnoyer finished fifth, and Vinnie Miller joined Henson atop the podium but in the Pro Masters 40+ division. Ben Page won in Florence, Ala., at the W.C. Handy Tournament. Page totaled a 10-under par 103 in two round and won by three. Cooper Legee added a win at the Belgrade Lakes MPT, an unsanctioned event.